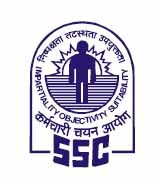 Staff Selection Commission (SSC) has published final Answer Keys along with Question Papers(s) for Combined Recruitment of Combined Graduate Level (Tier-1) Examination, 2017. Check below for more details. Staff Selection Commission has declared the result of Combined Graduate Level(Tier-I) Examination,2017 on 30.10.2017 which was uploaded on the website of the Commission.